We have a great reason to be excited today- we have a new member of our zoo family! 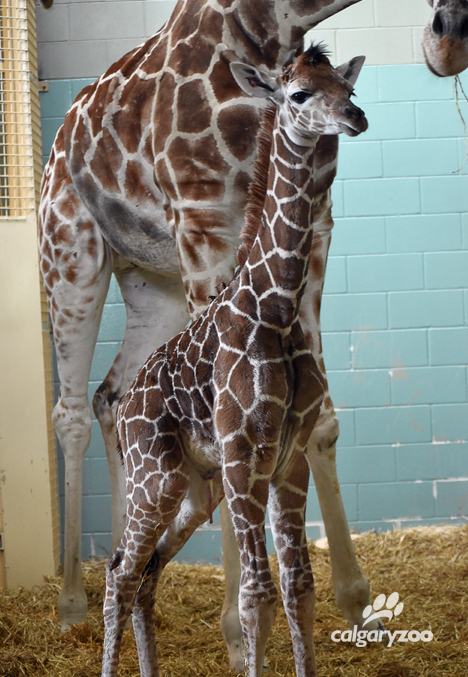 After nearly a year and half wait, the Calgary Zoo is proud to announce the birth of a healthy female giraffe calf. 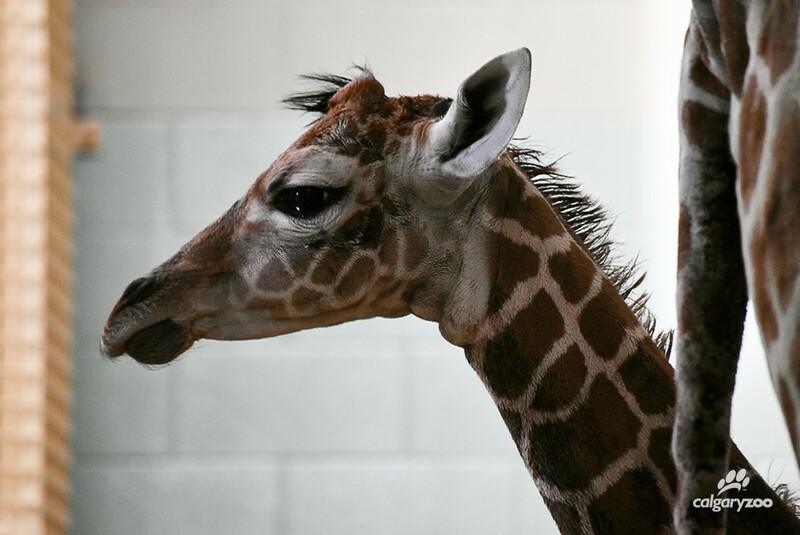 Carrie the reticulated giraffe gave birth to her calf yesterday morning, and the “little one” is thriving, wobbly taking her first steps minutes after birth. See the “little” one in person! Proud Dad alert- Nabo looks on from behind as the new calf gets her close up. She’s a beauty! Only a few minutes old, this little girl already has her distinctive spots, and her mom’s looks. While dad Nabo (and a team of zookeepers!) looked on, Carrie gave birth, cleaned her calf and helped the little girl try her first attempts at standing. While she took a few tumbles, she eventually steadied her longs legs, and made her way to mom’s side to nurse. If you haven’t been to the zoo in awhile, this is Carrie’s fourth offspring, having previously given birth to Jeffrey in 2000, Sherri in 2008 and most recently Jengo in 2011. 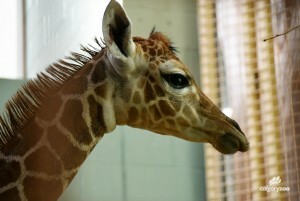 Over the years the Calgary Zoo has been fortunate to have had 17 successful giraffe births! Carrie has been at the zoo since 1994 arriving from Indianapolis Zoo; Nabo joined her in 2012 from Louisville Zoo. Mommy on guard- Carrie surveys the first steps of her new calf. It’s always a wonderful moment to welcome a new giraffe to the zoo, as wild populations of giraffes are estimated to range between 140,000 and 80,000 and face increasing threats due to habitat loss and poaching. Carrie and her calf spent several days bonding in the back areas of the Savannah Building and weren’t visible to the public at first, but emerged to the delight of visitors on the morning of October 25. Stay tuned for more updates, photos and videos, or visit them in the African Savannah today! The newly born female giraffe takes a look at her new home. Lovin’ those long legs! 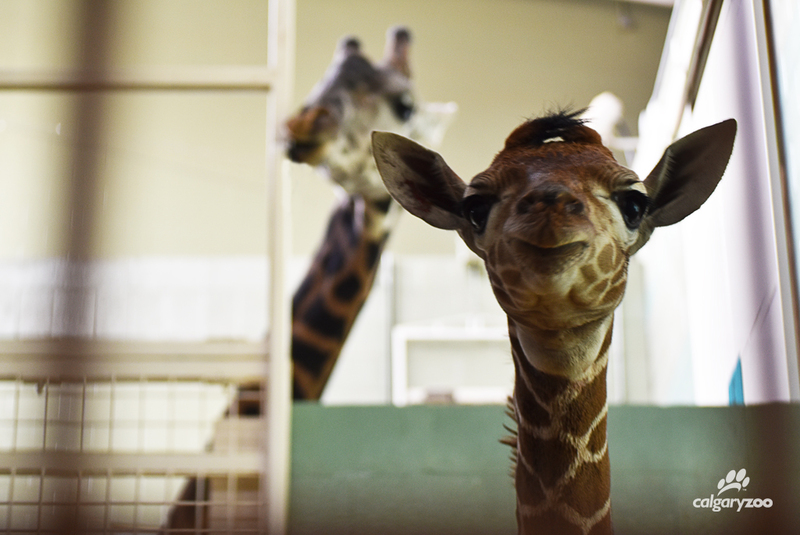 Learn more about our family of giraffes here and pay a visit to the adorable family.